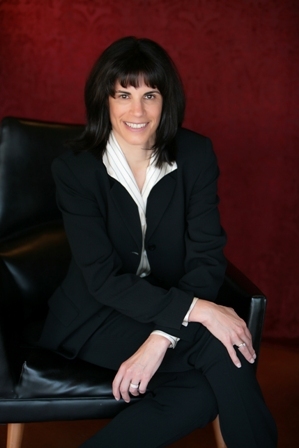 Founder of High Performance Leadership, Inc., Ellyn is a highly-regarded executive and business coach and consultant. For more than 16 years, Ellyn provided client service, business and employee direction within the healthcare industry. She currently provides executive and business consulting and coaching to organizations and organizational leaders who are serious about making positive self improvement changes and positive changes for the companies they lead. 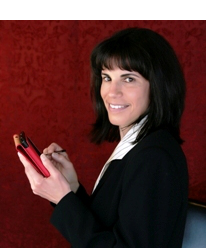 Her clients include corporations, engineers, entrepreneurs, law and CPA firms. What makes Ellyn unique is her ability to think creatively as well as strategically. She combines the art of coaching and consulting with data and process driven methods that are needed to obtain the measurable and sustainable bottom-line results you want. Ellyn S. Traub is a featured contributor author in the soft cover book. “Roadmap to Success: America’s Top Intellectual Minds Map Out Successful Business Strategies.” She is featured in the ebook, “Stepping Stones To Success: Experts Share Strategies For Mastering Business, Life & Relationships.” Ellyn is requested to lead workshops, trainings and seminars. She is available for speaking engagements. MS, Instructional Systems Technology, Indiana University, Bloomington, IN. BS, Art, Bradley University, Peoria, IL. CPBA: Certified Professional Behaviors AnalystEllyn S. Traub is a Certified Professional Behaviors Analyst (CPBA). This certification, awarded by TTI Success Insights on behalf of Target Training International, Ltd., recognize more than 16 hours of training, education, examination, and practical application of the history of behavioral models, including the DISC model, and behavioral knowledge based on validated, research-based instruments. As a CPBA, Ellyn is certified to teach, analyze and interpret DISC–based assessments. CPMA: Certified Professional Motivators AnalystEllyn S. Traub is a Certified Professional Motivators Analyst (CPMA). This certification, awarded by TTI Success Insights on behalf of Target Training International, Ltd., recognize more than 16 hours of training, education, examination, and practical application of the history of motivators as developed by Eduard Spranger and TTI and the six hierarchies of human motivation and how they relate to communicating in the workplace and in life. As a CPMA, Ellyn is certified to teach, analyze and interpret the 12 dimensions of Motivators. CPEQA: Certified Professional Emotional Quotient AnalystEllyn S. Traub is a Certified Professional Emotional Quotient Analyst (CPEQA). This certification, awarded by TTI Success Insights on behalf of Target Training International, Ltd., recognizes more than 12 hours of professional training and examination in the realm of emotional intelligence. As a CPEQA, Ellyn is certified to teach the five dimensions of emotional intelligence, including emotional enablers and disablers as well as to interpret emotional quotient in people and analyze and integrate the combination of Behaviors and Motivators with Emotional Intelligence. CSSGB: Six Sigma Green Belt Certificate of Achievement, Villanova UniversityEllyn S. Traub is a Certified Six Sigma Green Belt (CSSGB). Six Sigma is a management philosophy developed by Motorola that emphasizes setting extremely high objectives, collecting data, and analyzing results to a fine degree as a way to reduce defects (errors) in products and services; this is called the DMAIC method. With green belt training, Ellyn has refined her problem solving skills, learned how to effectively target and define a problem, and how to measure, analyze, improve, and control.